We were blessed with good weather this Easter. 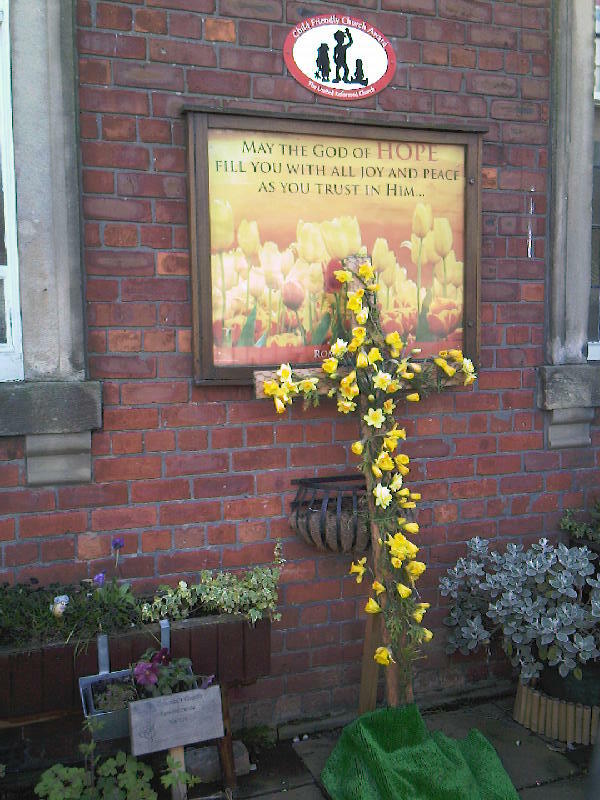 After the Maundy Thursday evening communion in the upper room that is the Lishman Hall, the Good Friday walk of witness and open air services in Northumberland Square and Bedford Street were warm and sunny. The Mayor of North Tyneside joined Churches Together in North Shields for the walk. Leaders of various churches took part in the services, telling the good news of God’s sacrificial love for us, healing us of our “spiritual sickness”. Messy Church followed at St Columba’s, exploring the Easter story through art and crafts. On Easter Sunday, our “sunrise” communion was incorporated into a fairtrade breakfast. Mid-morning and evening communion services followed, where we heard about the important part that women played in witnessing Jesus’ resurrection, which was a form of “re-creation”, a new start in the life of the world. How Will we Build the New Jerusalem? 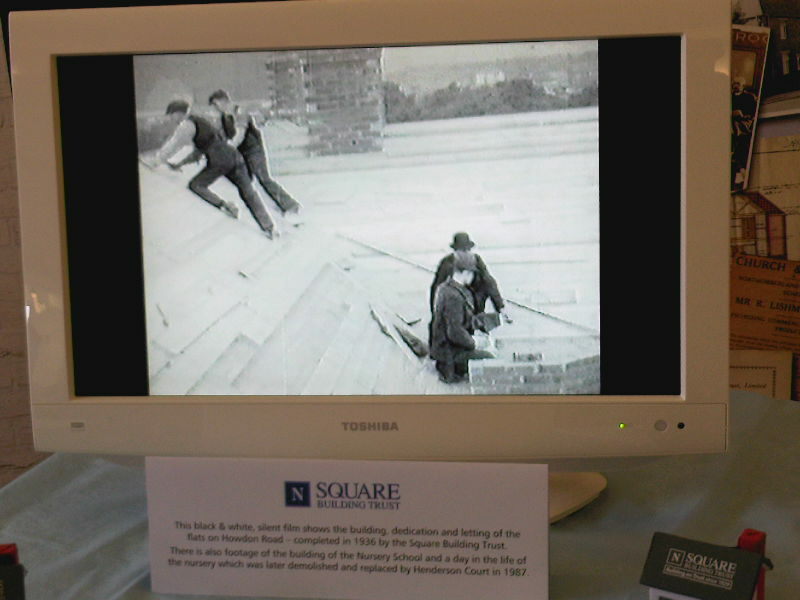 Founded in 1929 by Rowland Lishman, leader of the then Northumberland Square Presbyterian Church’s men’s Bible Class, the Square Building Trust is a registered social landlord providing affordable, well-maintained homes for rent in North Tyneside. It currently own 122 properties; 90 general needs homes for social rent (including houses and apartments) and 32 homes for people with a range of support needs. Members of the St Columba’s United Reformed Church continue to comprise a significant proportion of the Trust’s Committee of Management. How do you feel about building the new Jerusalem? Thousands of years ago Israel had ceased to exist as an independent nation. It had been swallowed up by a much bigger and much more powerful political entity, the Babylonian Empire. Now, however, having been held in captivity for a period of years, the people were coming home; they were leaving – exiting, you might say – from Babylon. They were becoming an independent nation once again. It seems to me, that whatever happens in the life of this nation over the next few days, weeks, months, or years, if it, whatever “it” turns out to be, is to work as well as it possibly can, then this nation needs to have a strong, imaginative, healthy vision of the sort of society we think we should be, or should become. ‘Where there is no vision,’ as it says elsewhere in the Bible (Proverbs 29:18 (KJV)), ‘the people perish,’. Today, through the prophet Isaiah, we are presented with God’s vision for a new society. 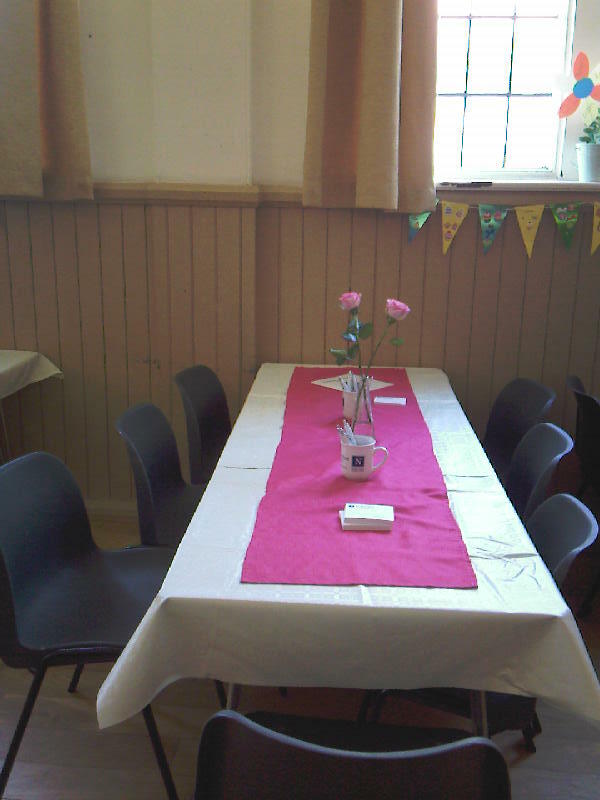 And, most relevant of all for us we find the work of the Square Building Trust, begun in this congregation and enjoying its continuing support, is right at the centre of that godly vision. “How are we going to build the New Jerusalem? “That was the pressing question facing those returning from captivity. For Jewish people, an Israelite nation without Jerusalem was unthinkable. The qualities and values which governed the life of this holy capital city would be those that characterised the nation as a whole. Since that time and specific situation, “building the New Jerusalem” has become a proverbial image for the process of creating or restoring a nation’s greatness. And who wouldn’t want to live in a city or a nation like the one envisaged in this prophecy from Isaiah chapter sixty-five? We’re a long way away from ancient Babylon, Israel and Jerusalem, but that vision speaks to me today, making me question one aspect of our contemporary scene and convincing of the basic rightness of another one. Which brings me to my conviction: There is widespread acceptance that in the UK today there is a housing shortage. Not all the people who want and need a place to live can find one. How has this happened? What can be done about it? Neither causes nor solutions are simple or straightforward; the life of a nation is complex. 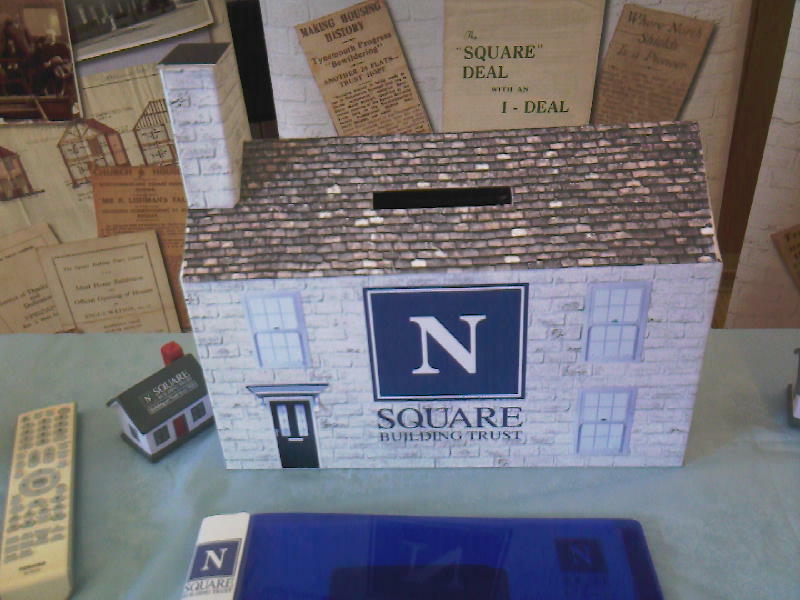 Well, whatever the case, I’m convinced that the work of the Square Building Trust is in harmony with the desire to build a new Jerusalem in this sometimes green and pleasant land. The Square Building Trust, from the beginning, to the present day, and, God willing, for some time to come, is about building homes for people who need them. This is its – this is our – primary focus, and I believe it’s a biblically inspired one. To be clear, I’m not suggesting that you have to a great Bible reader or a signed-up follower of Jesus Christ to hold and affirm a vision in which the driving force for building houses is that they will be available for the people who most need them. To suggest that would be both arrogant and mistaken. What I am saying is that in this specific case – the Square Building Trust – the impetus, the vision, for the Trust’s work came via one person having an explicitly Christian perspective, and that we can all learn something from that. The one person was, of course Rowland Lishman. We have heard something about his life and work already today. Ninety years ago, in an era of housing crisis, where those who most needed decent housing were also those least likely possess it, Mr Lishman took action. The initial setting for this action was the men’s Bible class in this church, over which he presided. I have no way of knowing whether Mr Lishman ever connected the work that he did with these verses from the Book of Isaiah, with its vision for the new Jerusalem. I’m confident, however, that had someone pointed them out and asked, he would have affirmed that link between the biblical vision and the work he was doing. I’m also hopeful that Rowland Lishman would be quite put out if we made him the primary focus of our thanksgiving today. I think he would have been quite uncomfortable if we airbrushed Jesus out of the picture. In Jesus’s story – his parable – about wise and foolish builders, both men hear the words of Jesus. What makes the difference is whether they act upon those words. The one who hears Jesus but do not act finds that everything comes crashing down around them. The one who hears and acts is wise, and their work endures, even when times are stormy. And you can dig back a bit further behind that phrase, ‘everyone who hears these words of mine’. (7:24, 26) We’re told in Matthew’s Gospel, ‘when Jesus had finished saying these things, the crowds were astounded at his teaching.’ (7:28) ‘These words’ and ‘his teaching’, in the context Matthew’s Gospel refer to the Sermon on the Mount. This sermon, which runs for three whole chapters of Matthew’s Gospel, concludes with this story, where what matters is that you act and well as listen to Jesus. Those of us who spent several Thursday evenings last year, working our way through the Sermon on the Mount together, may remember discovering that so much of what Jesus had to say was teaching concerning the Hebrew Scriptures; what we Christians usually refer to as the Old Testament. So, the crowds were astounded by Jesus’s authority in teaching about the scriptures that include the Book of Isaiah, and so, of course, this vision of what God is looking for in a new Jerusalem. At the heart of this new Jerusalem: ‘they shall build houses and inhabit them … they shall not build and another inhabit … my chosen shall long enjoy the work of their hands.’ Listen to that, says Jesus, and also do something about it! That’s how Rowland Lishman responded ninety years ago, and we are thankful for it. Though Rowland Lishman has gone, however, the biblically-based vision endures. To play a part in building a new Jerusalem in our day is the continuing biblical call that Christians hear today. The question is, how we will act upon what we hear? So, how grateful I am for the existence and work of the Square Building Trust. It gives me a means to act upon what I hear. For like you, I hope, we want a country, however it is constituted, in whatever relationship to other nations, to exhibit these aspects of a new Jerusalem; a society where all flourish. We want this nation to be, we want North Tyneside, we want North Shields to be, a place of joy and delight. We are hoping for, we are desperate for an end to weeping and crying. We deeply desire happy childhoods and long life, meaningful work and a hopeful future, an end to enmity and the banishing of fear. And we get to play a part in making a reality an important part of that beautiful vision: building houses for people to inhabit and enjoy, so that their lives may flourish. So today, we give thanks for the vision and the work – the action – of the Square Building Trust, helping to build the new Jerusalem. And may God give us in our day the inspiration and the strength to hear the words of Jesus and the prophecy of Isaiah, and to act upon them. Amen. 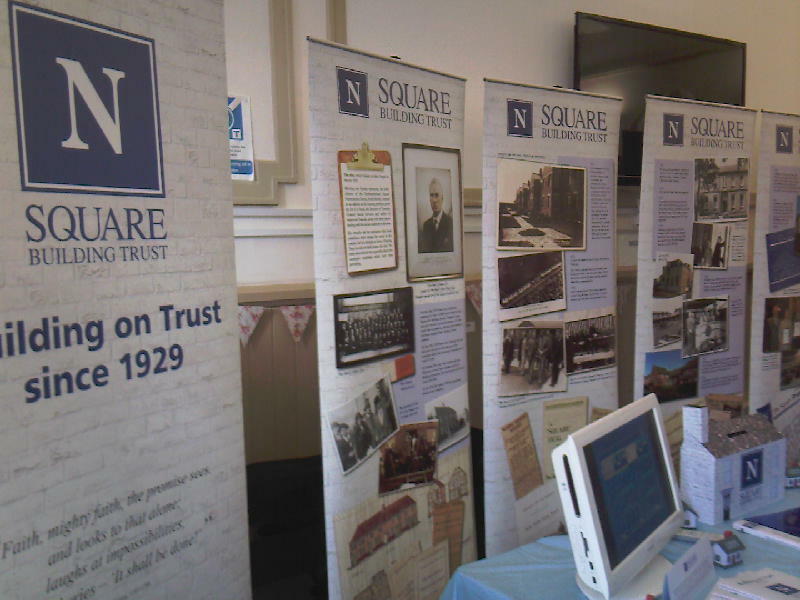 The Square Building Trust Ltd marked its 90th anniversary with a service and exhibition at St Columba’s Church on Sunday 24 March 2019. This registered social landlord was founded by the church in March 1929, after hearing about the poor housing in some parts of North Shields. 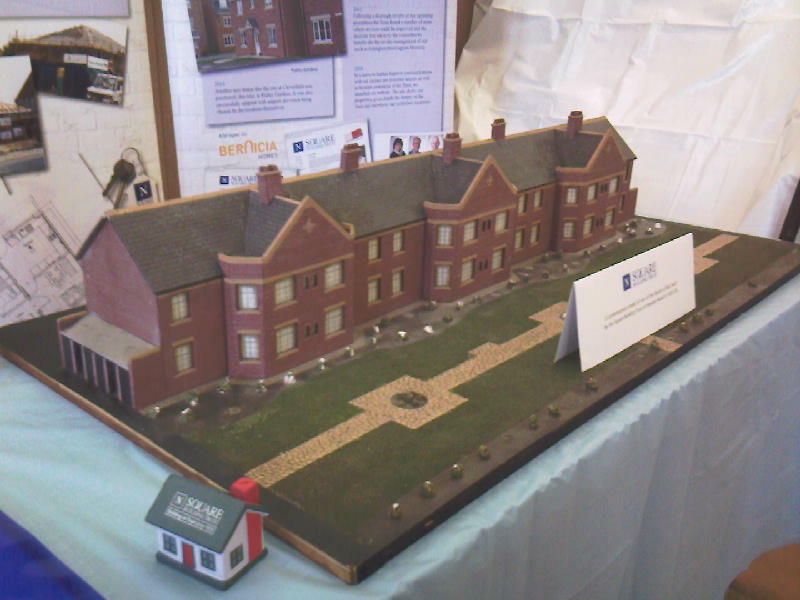 Within a week, they had raised over £2,000, and the first family homes were finished within six months. Over the years, further properties have been built or adapted, offering good quality homes at affordable rents. In recent years, the Trust has focussed on housing for people with special needs, who might otherwise find it harder to live independently. 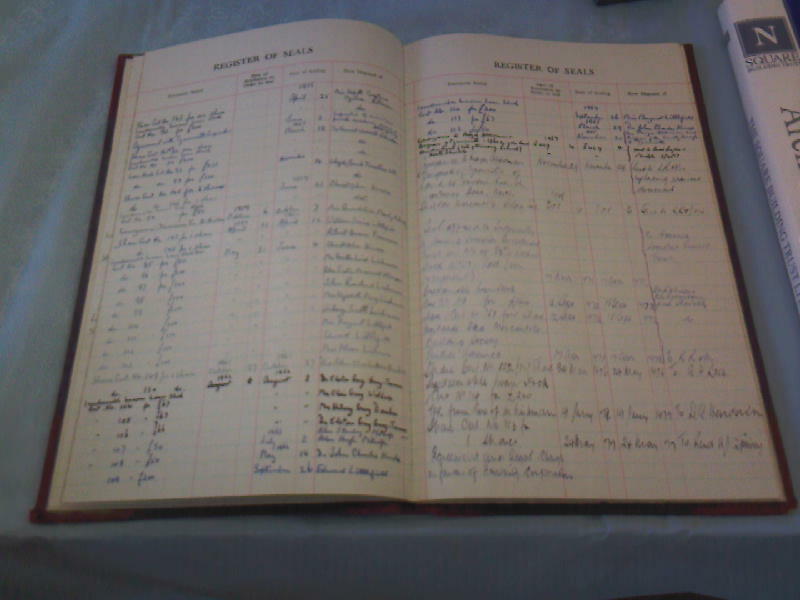 The service was followed by anniversary cake and coffee in the church hall, when a commemorative booklet, entitled Building on Trust since 1929, was published. Foxes: I’ve certainly seen a more than a few of those, especially when I lived in Essex. Sometimes, they were no more than a glimpse of a bushy tail disappearing into a hedge when hit by the lights of the oncoming car. On other occasions it was literally closer to home. I came face to face with the fox who thought it ok to use our front garden as a short cut. Another one thought it acceptable for him to stroll into our garage for a look-around, just after I had opened the door in order to put the car away for the night. I don’t have particularly strong feelings about foxes. I don’t fear them, certainly not as much as ill-controlled dogs out on the streets with their supposed owners. I’ve no desire to hunt them with a pack of dogs. I’ve no wish to eat one, though, given some meat processing scandals in recent years, perhaps I have. For all that, foxes don’t have a great reputation. The only positive title I can think of involving a fox is ‘Fantastic Mr Fox’, the children’s story from Roald Dahl, a writer who delighted in subverting convention about like and dislikes. If you describe someone as being fox-like then you are not paying them a compliment, with the honourable exception of ‘foxy’ ladies. It’s not a compliment most of the time because in our twenty-first century western culture the fox is seen as a clever, crafty, shifty and untrustworthy character. What human being wants to be described in those terms? When Jesus calls Herod a fox – ‘go and tell that fox’ he says – he is not suggesting Herod is clever or crafty. That’s not how people of his time viewed foxes. None of this is to say that Jesus is paying Herod any sort of compliment. It is just that he is insulting him in a different way. When Jesus calls Herod a fox, he means to say that he is a mangy, weak, second rate creature; no improvement on clever and crafty, shifty and untrustworthy. Jesus does not like Herod, which is no surprise. Some Pharisees come to warn Jesus that ‘Herod wants to kill you.’ (3: 31) Pharisees helping Jesus may come as a surprise but only if we buy into the simplistic picture that Jesus and Pharisees are enemies. In fact, read the gospels carefully and a more complicated picture emerges, of which this incident is but one piece of evidence. Helpful Pharisees may seem as unlikely to us as good Samaritans were to Jews in Jesus time, but no one would be surprised that Herod would want to kill Jesus. It’s a case of ‘like father, like son’ as the Herodian family and Jesus’s family are concerned. When Jesus was little, Matthew tells us in his Gospel, Herod the Great, the father of the Herod in today’s passage, tried to do away with Jesus. His attempt at a ‘targeted assassination’ failed, but with “collateral damage” of the death of all the boys of Bethlehem aged two years and under. This evening’s Herod – Herod Antipas, son of Herod the Great had previously imprisoned and then executed Jesus’s cousin, John the Baptist. Now, Jesus is told, Herod intends to conclude this piece of outstanding family business by doing away with Jesus. As it happens, Herod would qualify as crafty and untrustworthy. This man divorced his wife so he could marry his brother’s ex-wife. Luke tells us elsewhere about how he lusted after the young girl who he saw dancing at a party; the daughter of his new wife, and therefore someone who was simultaneously his niece and step-daughter. The Herodians were a complicated family. But Jesus’s description of this Herod as a fox is not to brand him as crafty and untrustworthy, though he is both of those. Jesus is saying that Herod is small, weak, mangy and second-rate. For Jews of Jesus’s time, the essential thing about a fox is that is not the lion. Why is Herod weak and second-rate? Well the reason unfolds as Jesus continues to speak, and to speak of Jerusalem: I must go on my way … because it is unthinkable for a prophet to meet his death anywhere but in Jerusalem.’ (13: 33) Jerusalem is where things happen, and Jerusalem is where the really big players in the unfolding story of the people of Israel are to be found. Jesus is on his way to Jerusalem, but Herod is stuck in Galilee. A real king of the Jews would reign in Jerusalem, but this Herod does not. He is a placeman, an appointee, owing his current limited office to the whim of his Roman imperial masters. This is no king of Israel, resident and reigning in Salem, or Zion; this is no Lion of Judah; this is nothing more than a mangy fox. As for Jesus, he is off to Jerusalem: ‘O Jerusalem, Jerusalem, city that murders the prophets and stones the messengers sent to her [from God]! How often have I longed to gather your children, as a hen gathers her brood under her wings.’ (13: 34) And ‘O Jerusalem, Jerusalem’ look at you today; still fought over by political and religious forces; a place sacred to Jew and Muslim alike; essential element in any political solution to a seemingly intractable conflict. O Jerusalem, Jerusalem, see how you have sucked in, how you have expended political and material goods, how human lives and hopes have been extinguished for your sake. It is enough to make a loving God weep. And the question for us is, “Can or should a place mean so much for a Christian?” Christians too, know the power of place. Many of us know what it is to have a powerful emotional attachment to a church building; to its setting its setting, its style and its contents; to pulpit and to pews, to table and perhaps even to candles. Church Ministers might get inoculated to this feeling by virtue of the fact that we come and we go. So, the settings where they preach and teach are in some ways only a passing part of their lives. Lest I forget, though, I recall the strong feelings that bubbled up within me when there was a passing question about the viability of the church buildings where I spent a lot of the first twenty-three years of my life. And Jesus, unlike Herod, that fox, is on his way to Jerusalem, the place where the Temple is, atop Mount Zion; the pilgrimage destination for all Jews even these days, celebrating Passover in their homes, but with the aspiration of ‘next year in Jerusalem’. Along with our sense of the importance of place comes the resurgence of interest in pilgrimage. Today, for Catholics and for others, Walsingham, Lourdes and Santiago de Compostela are popular pilgrimage destinations. For other Christians the preferred places are on Iona in Scotland or Taizé in France. And for the followers of different faiths there is always the ‘Holy Land’, including, of course, Jerusalem. But can or should a place mean so much for a Christian? Certainly not, if we mistake the destination for the thing that we are seeking. Jerusalem was important to Jesus. That’s no surprise ,for Jesus was a Jew, but its primary importance was as the place where he could be what he was called to be: a prophet. Jerusalem is important, but as the place where Jesus can do the things that he has been called to do; to enter the city in kingly triumph; to face arrest, and torture, and execution. Jerusalem is where he will fulfil his mission of reconciliation between God and God’s world; this world full of craftiness and cleverness, of violence and conflict; a world where people so often settle for living second rate lives and exhibit third rate behaviour. By going to Jerusalem Jesus fulfils his mission but the significance of what he does transcends that of the place itself. On a smaller scale, many of us know of the potential that church buildings have to be the cause or setting for conflicts within congregations. Buildings may be vehicles for mission but attempting to change them for new conditions can be a frustrating process that involves conflict. Yet there is a lesson to be learned from pilgrimage, from journey to a place, whether that be the journey that Jesus’ made, or the journeys that we and other believers make. What matters most to the people who go on pilgrimage, in many cases, is not to do with the destination as such. What matters is what happens to you on the journey and what you do when you reach the destination. Start out on a pilgrimage and you find it becomes powerful tool for change in lives – and this seems to be as true of Christians seeking healing at Lourdes as Jews celebrating Passover in Jerusalem this year as it is of a Muslim making the haj to Mecca. Of course, for Christians, changes that we seek take a distinctive form, because we are following Jesus, to Jerusalem and beyond. So, this today, looking forward to journeys, to pilgrimages, both literal and metaphorical, we give thanks for Jesus, who went to the right place. Above all, however, we celebrate his journey through life and death to resurrection. Remember, Jesus is calling us to make a faith-journey through life; a journey which is never tied down to or defined by a single place.